Wilding KM, Hunt JP, Wilkerson JW, Funk PJ, Swensen RL, Carver WC, Christian ML, Bundy BC. 2019. Endotoxin-free E. coli-based cell-free protein synthesis: Pre-expression endotoxin removal approaches for on-demand cancer therapeutic production. KM, Smith AK, Wilkerson JW, Bush DB, Knotts TA, Bundy BC. 2018. The Locational Impact of Site-Specific PEGylation: Streamlined Screening with Cell-free Protein Expression and Coarse-grain Simulation. Yang SO, Salehi ASM, Earl CC, Tang MJS, Hunt JP, Smith MT, Wood DW, Bundy BC. 2018. Biosensing Estrogenic Endocrine Disruptors in Human Blood and Urine: A RAPID Cell-free Protein Synthesis Approach. Toxicology and Applied Pharmacology. 345:19-25. Wilding KM, Schinn SM, Long EA, Bundy BC. 2018. The Emerging Impact of Cell-free Chemical Biosynthesis. Current Opinion in Biotechnology. 53:115-121. Bundy BC, Hunt JP, Jewett MC, Swartz JR, Wood DW, Frey DD, Rao G. 2018. Current Opinion in Chemical Engineering. 22:177-183. Davis BR, Soltani M, Ford H, Nelson JAD, Bundy BC. 2018. Reengineering cell-free protein synthesis as a biosensor: Biosensing with transcription, translation, and protein-folding. Biochemical Engineering Journal. 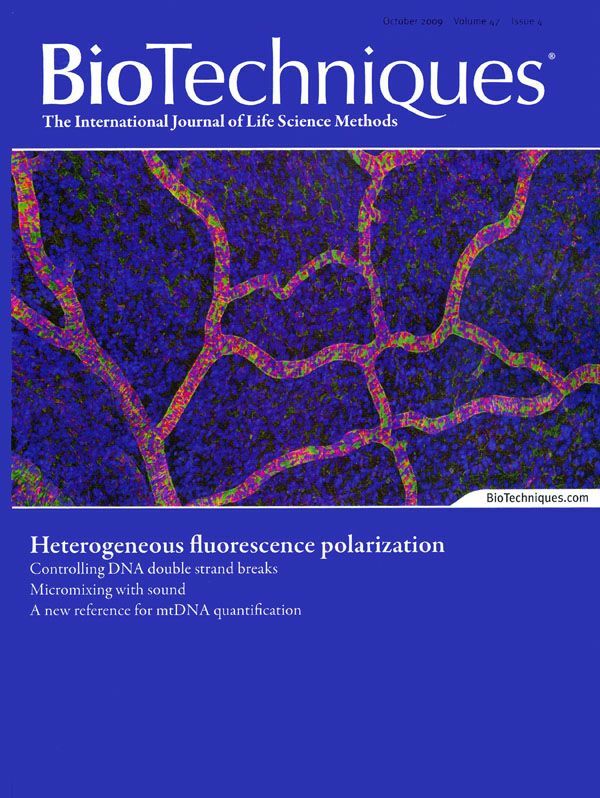 Cell-free Systems Special Issue. 138:165-171. Wilkerson JW, Yang SO, Funk PJ, Stanley SK, Bundy BC. 2018. Nanoreactors: Strategies to Encapsulate Enzyme Biocatalysts in Virus-like Particles. Earl CC, Smith MT, Lease RA, Bundy BC. 2018. Polyvinylsulfonic Acid: A Low-Cost RNase Inhibitor For Enhanced RNA Preservation And Cell-Free Protein Translation. Hunt JP, Schinn SM, Jones MD, Bundy BC. 2017. Rapid, Portable Detection of Endocrine Disrupting Chemicals Through Ligand-Nuclear Hormone Receptor Interactions. Salehi ASM, Shakali Tang MJ, Smith MT, Hunt JM, Law RA, Wood DW, Bundy BC. 2017. A Cell-free Protein Synthesis Approach to Biosensign hTRB–Specific Endocrine Disruptors. Schinn SM, Bradley W, Groesbeck A, Wu J, Broadbent A, Bundy BC. 2017. Rapid In Vitro Screening for the Location-Dependent Effects of Unnatural Amino Acids on Protein Expression and Activity. Salehi ASM, Smith MT, Schinn SM, Hunt JM, Muhlestein C, Diray‐Arce J, Nielson BL, Bundy BC. 2017. Efficient tRNA Degradation and Quantification in Escherichia Coli Cell Extract Using RNase‐Coated Magnetic Beads: A Key Step Towards Codon Emancipation. Hunt JP, Yang SO, Wilding KM, Bundy BC. 2017. 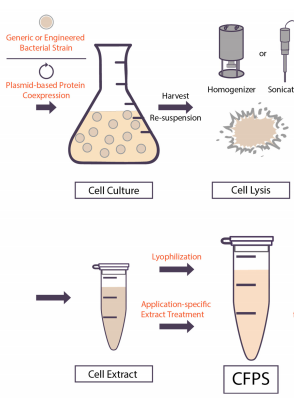 The growing impact of lyophilized cell-free protein expression systems. Salehi ASM*, Smith MT*, Bennett AM, Williams JB, Pitt WG, Bundy BC. 2016. Cell-free protein synthesis of a cytotoxic cancer therapeutic: Onconase production and a just-add-water cell-free system. Schinn SM, Broadbent A, Bradley WT, Bundy BC. 2016. Protein Synthesis Directly from PCR: Progress and Applications of Cell-free Protein Synthesis with Linear DNA. Salehi ASM, Earl CC, Muhlestein C, Bundy BC. 2016. Escherichia coli-based Cell-free Extract Development for Protein-based Cancer Therapeutic Production. International Journal of Developmental Biology. 60:237-243. Poornejad N, Momtahan N, Salehi ASM, Scott D, Fronk C, Roeder BL; Reynolds PR, Bundy BC, Cook AD. 2016. 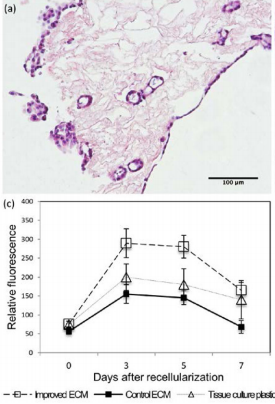 Efficient decellularization of whole porcine kidneys improves reseeded cell behavior. Smith MT, Bennett AM, Hunt JM, Bundy BC. 2015. Creating a Completely “Cell-free” System for Protein Synthesis. Wu JC , Hutchings CH, Lindsay MJ, Werner CJ, Bundy BC. 2015. Enhanced Enzyme Stability Through Site-Directed Covalent Immobilization. Smith MT, Wilding KM, Hunt JM, Bennett AM, Bundy BC. 2014. The Emerging Age of Cell-free Synthetic Biology. Smith MT, Bennett AM, Grubman MJ, Bundy BC. 2014. Foot and Mouth Disease: Technical and Political Challenges to Eradication. Smith MT, Berkheimer SD, Werner CJ, Bundy BC. 2014. Lyophilized Escherichia coli-based Cell-free Systems for Robust, High-density, Long-term Storage. Shrestha P*, Smith MT*, Bundy BC. 2014. Cell-free Unnatural Amino Acid Incorporation with Alternative Energy Systems and Linear Expression Templates. Smith MT, Hawes AK, Shrestha P, Rainsdon JM, Wu JC, Bundy BC. 2014. Alternative Fermentation Conditions for Improved Escherichia coli-based Cell-free Protein Synthesis Requiring Supplemental Components for Proper Synthesis. Smith MT, Hawes AK, Bundy BC. 2013. Reengineering Viruses and Virus-like Particles through Chemical Functionalization Strategies. Current Opinion in Biotechnology. 24(4):620-626. Arnaz KR, Wu JC, Bundy BC, Jewett MC. 2013. Transforming Synthetic Biology with Cell-free Systems. 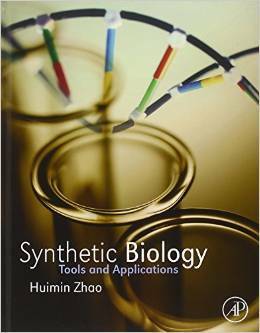 In Synthetic Biology: Tools and Applications. Zhao H, Ed. Elsevier Inc. Publication Date: June 15, 2013. Wu JC*, Smith MT*, Varner CT, Bundy BC. 2013. Enhanced protein stability through minimally-invasive, direct, covalent and site-specific immobilization. Shrestha P, Holland T, Bundy BC. 2012. Streamlined extract preparation for Escherichia coli-based cell-free protein synthesis by sonication or bead vortex mixing. Varner CT*, Smith MT*, Bush DB, Bundy BC. 2012. The incorporation of A2 protein to produce novel Qbeta virus-like particles using cell-free protein synthesis. Bundy BC, Swartz JR. 2011. Efficient disulfide bond formation in virus-like particles. Bundy BC, Swartz JR. 2010. Site-specific incorporation of p-propargyloxyphenylalanine in a cell-free environment for direct protein-protein click conjugation. Bundy BC, Swartz JR. 2008. Escherichia coli-based cell-free protein synthesis of virus-like particles. Bundy BC, Hales HB. 2008. A streamline reservoir simulator with dynamic gridding. Journal of Canadian Petroleum Technology. 47(3):32-38. Bundy BC, Swartz JR, Wei C. 2012. Encapsidation of Heterologous Agents into Virus-like Particles. U.S. Patent No. : 8,324,149. Wilkerson JW, Wilding KM, Smith AK, Knotts TA, Bundy BC. Engineering Better Proteins by Integrating Course Grain Molecule Simulation Integration with Cell-free Protein Synthesis. Smith AK, Wilkerson JW, Hunt JP, Zhao EL, Soltani M, Bundy BC, Knotts TA. Improved Molecular Dynamic Simulation of Protein Devices: PEGylated Proteins and Protein Microarrays. Neilsen G, Hunt JP, Bundy BC. Detection of Endocrine Disrupting Chemicals Using a Cell-Free Biosensor. Utah Conference on Undergraduate Education. Weber State University. Ogden, UT. Feb 2019. Engineering Software to Recycle Lab Equipment and Reduce Radioactive Waste. Law S, Bundy BC. Optimization of Cell-Free Protein Synthesis Reagents for High Production Yields. Utah Conference on Undergraduate Education. Weber State University. Ogden, UT. Feb 2019. 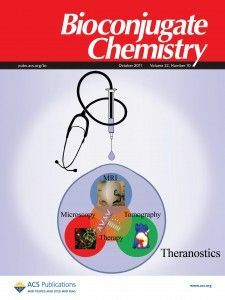 Engineering Portable, Shelf-Stable, On-Demand Cell-free Biosystems for the Production of Advanced Biotheraputics, Biocatalysts, and Biosensors. Effective Chemical Engineering Job Finding Strategies. Chemical Engineering Senior Class Lecturer. Taking Control of Your Career Path: Finding Your First Position. Bundy BC, Knotts TA, Wilding KM, Smith AK. Integrating Cell-free Protein Expression and Coarse-Grain Molecular Simulation for Rapid Design-Build-Test-Learn Cycles to Discover the Locational Impact of Site-Specific PEGylation. Bundy BC, Wilkerson JW, Wilding KM, Hunt JP, Yang SO. The Impact of Cell-free Systems on Bioprocessing. Wilkerson JW, Wilding KM, Smith AK, Bush DB, Knotts TA, Bundy BC. Building Better Proteins: Integrating Course Grain Molecule Simulation and Cell-free Protein Synthesis to Rapidly Determine the Optimal Location for Polyethylene Glycol Conjugation. American Institute of Chemical Engineers Annual International Meeting. National Undergraduate Research Competition. Pittsburgh, PA. Nov 2018. 1st Place Award Winner. A Rapid Cell-free Approach to Production of Enzyme Biocatalysts and their Encapsulation in Protective Virus-like Particles. Bundy BC, Hunt JP, Yang SO, Tang MS, Wood DW. Rapid Biosensing of Endocrine Disruptors with Cell-free Protein Synthesis. American Institute of Chemical Engineers Annual International Meeting. Pittsburgh, PA. Nov 2018. Removing Endotoxins from E. coli-based Cell-free Systems: Towards Enabling on-Demand Distributed Production of Therapeutics. Wilding KM, Ford H, Bundy BC. Applying Engineering Optimization Principles to Engineering Education: Optimization of a Student Project Experience’s Design and Implementation. Bills W, Hunt PJ, Bundy BC. Rapid, Portable, Low-cost Biosensing with Cell-free Systems. Synthetic Biology for Defense Workshop. Department of Defense. Arlington, VA. Sept 2018. (Invited Featured Expert and Speaker on Cell-free Systems). 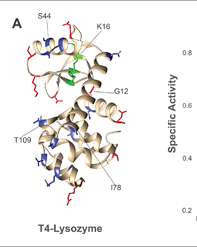 High-throughput Optimization of Site-Specifically PEOzylated Crisantaspase. Increasing the Potency of Promising Cancer Therapeutic Onconase Through Site-Specific Protein-Polymerization Optimization. Introduction to Chemical Engineering and Biochemical Engineering. American Institute of Chemical Engineers Rocky Mountain Student Regional Conference. Brigham Young University. Provo, UT. Mar 2018. Awarded 1st Place. Wilkerson JW, Yang SO, Bundy BC. Virus-like Particle Encapsulation Strategies for Enzyme-mediated Biocatalysis. Utah Conference on Undergraduate Education. Southern Utah University. Cedar City, UT. Feb 2018. Developing Portable, Shelf-Stable, On-Demand Cell-free Biosystems for the Production of Advanced Biotheraputics, Biocatalysts, and Biosensors. Controlling Your Career Path: Finding Your First Position. 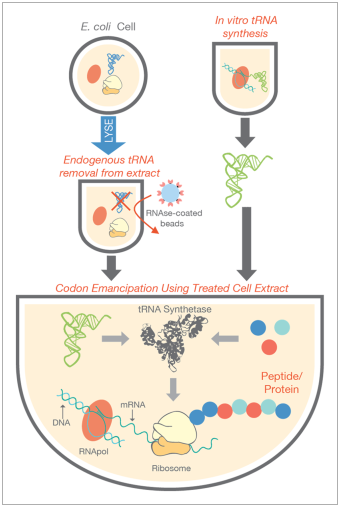 Bundy BC, Schinn SM, Bradley WT, Groesbeck A, Wu, JC, Broadbent A.
Accessing the Location-Dependent Effects of Unnatural Amino Acids on Protein Expression and Activity with Cell-free Protein Synthesis-Facilitated Rapid Screening. American Institute of Chemical Engineers Annual International Meeting. Minneapolis, MN. October 2017. Location-Dependent Effect of Post-Translational PEGylation on PEGylation Efficiency and the Activity and Protein Stability of T4-Lysozyme. Bundy BC, Salehi ASM, Tang MS, Yang, SO, Smith MT, Hunt JT, Wood DW. Nanobiosensing Chemicals that Target Nuclear Hormone Receptors: A Rapid, Versatile Cell-free Protein Synthesis Approach. Going Beyond Demonstrations to “Chose Your Own Adventure” Engineering Experiences for Service-Learning K-12 Outreach Opportunities for 3rd Year Engineering Students and Enhanced Student Engagement for 1st Year Engineering Students. Producing Protein Therapeutics without Cells. Polyvinyl Sulfonic Acid: A Low-cost RNase Inhibitor for Enhanced RNA Preservation and Retained Function. Bundy BC, Wilding KM, Schinn SM, Salehi ASM, Yang SO, Bradley WT, Conner CE, Muhlestein C, Berkheimer SD, Bennett AM, Hunt JC. The Impact of Cell-Free Synthetic Biology in Cancer Therapeutics Production and Endocrine Disruptor Detection. The Emerging Impact of Cell-Free Synthetic Biology. Earl CE, Salehi ASM, Smith MT, Tang MS, Wood DW, Bundy BC. Endocrine Disruptor Detecting Biosensor. Utah Conference on Undergraduate Education. Utah Valley University, Provo, UT. Feb 2017. Nelsen G, Salehi ASM, Smith MT, Tang MS, Wood DW, Bundy BC. Detection of Harmful Ligands Using a Cell-free Biosensor. Utah Conference on Undergraduate Education. Utah Valley University, Provo, UT. Feb 2017. Hunt JP, Salehi ASM, Smith MT, Bennett AM, Williams JB, Pittt WG, Bundy BC. 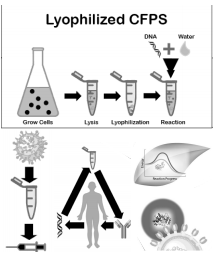 Chancer Theraputic Onconase and Lyophilized Cell-free Protein Expression Systems. Schinn SM, Bradley W, Groesbeck A, Bundy BC. Rapid in Vitro Screening of Proteins with Non-Natural Amino Acids. Salehi ASM, Tang MS, Smith MT, Wood DT, Bundy BC. Biosensing Chemicals That Target Nuclear Hormone Receptors: Introducing a Rapid, Versatile Cell-Free Protein Synthesis Approach. American Institute of Chemical Engineers Annual Meeting. San Francisco, CA. Nov 2016. Developing Portable, Shelf-Stable, On-Demand Cell-Free Biosystems for the Production of Biotheraputics & Biocatalysts. Expanding the Genetic Code to Study Cancer-Related G-Protein-Coupled Receptors. Engineering is What Can Be: Biochemical Engineering. Bundy BC, Wilding KM, Schinn SM, Salehi ASM, Yang SO, Bradley WT, Conner CE, Muhlestein C, Berkheimer SD, Bennett AM, Hunt JC, Werner CJ, Smith MT, Wu JC. Cell-Free Synthetic Biology: Impact on Cancer Therapeutics and Detecting Cancer Causing Agents. Salehi SM, Smith MT, Bennett AM, Bundy BC. Cell-Free Protein Synthesis: A Dynamic Platform for Rapid Screening and Production of Cytotoxic Cancer Biotherapeutics. American Institute of Chemical Engineers Annual Meeting. Salt Lake City, UT. Nov 2015. Enzyme Encapsulation Using Cell Free Protein Synthesis. Schinn SM, Stanley SK, Groesbeck A, Wilding KM, Wu JC, Bundy BC. Rewriting the Language of Biology: Unnatural Amino Acids Incorporation at Sense Codons Using Cell-Free System. Rationally Engineering Post-Translational Protein Pegylation for Improved Stability and Function. Salehi SM, Smith MT, Hunt JM, Bundy BC. Rapid, High-Throughput Screening of Proteins with Non-Canonical Residues Using Cell-Free Protein Synthesis. Muhlestein C, Smith MT, Bundy BC. Streamlined Production of Cell-free Protein Synthesis Reactions Using Auto-induction Media. Earl CC, Smith MT, Bundy BC. RNase Inhibitors for In Vitro Biology. Christian ML, Smith MT, Berkheimer SD, Werner CJ, Bundy BC. Using Sacrificial DNA to Improve LET-Based CFPS Protein Yields. Enhanced Protein Stability Through Site-Directed Covalent Immobilization. Biochemical Engineering: Engineering is What Can Be. Pre-freshman Engineering Program. Cell-free Synthetic Biology Meets Terraforming. Rational Engineering of Protein Stability for Potential Applications as Detectors in NASA Space Missions. 21st Annual Utah Space Grant Consortium Fellowship Symposium. Salt Lake City, UT. May 2015. 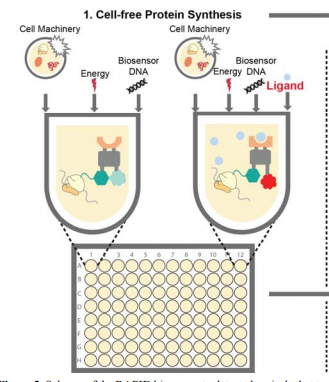 In vitro Cell-free Synthetic Biology Techniques for Optimizing Protein Yields. Utah Conference on Undergraduate Education. Dixie State University, St. George, UT. Feb 2015. Economical Rapid Production of Therapeutic Proteins using Cell-free Protein Synthesis. Expanding the Genetic Code through Simultaneous Insertion of Unnatural Amino Acids. Optimization of the pET9a Vector. Bundy BC, Smith MT, Hunt JM, Schinn SM, Salehi SM, Broadbent A.
Reengineering the genetic code to Expand the Language of Biology using a Cell-free Synthetic Biology Approach. Going Beyond Demonstratiosn to “Chose Your Own Advernture” Engineering Experiences. American Institute of Chemical Engineers Annual Meeting. Atlanta, GA. Nov 2014. Smith MT, Berkheimer SD, Werner CJ, Bundy BC. 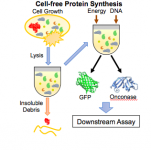 Lyophilized Cell-free Systems for Robust, Modular Protein Expression. Wu JC, Hutchings CH, Lindsay MJ, Werner CJ, Bundy BC. The Impact of Protein Residue-explicit Covalent Immobilization for Stability Enhancement (PRECISE) on Enzyme Biocatalysis. Smith MT, Hunt JM, Bundy BC. Rewriting the Proteomic Alphabet in Cell-free Systems. Development of Technology for an Expanded Genetic code. Bennet AM, Smith MT, Bundy BC. Engineering Novel Vaccines for Foot-and-Mouth Disease. Lindsay MJ, Wu JC, Bundy BC. Analyzing Protein Activity and Stability Using a High-Throughput Linear Expression Template System. Advances in Cell-free Synthetic Biology based Expansion of the Genetic code. Biochemical Engineering: Engineering is What Can Be. Pre-freshman Engineering Program. Utah Valley University. Orem, UT. Jul 2014. Advances in Expanding the Language of Biology with Cell-free Synthetic Biology. DARPA Living Foundries Program Review. Denver, CO. Jun 2014. Hunt JM, Shrestha P, Smith MT, Bundy BC. Cell-free Unnatural Amino Acid-Incorporation using Linear Expression Templates. Utah Conference on Undergraduate Education. Brigham Young University. Provo, UT. Feb 2014. Bennett AM, Smith MT, Bundy BC. Foot-and-Mouth Disease Vaccine: Technical and Political Challenges to Vaccine-based Eradication. A High-throughput Linear Expression Template System for Analyzing Protein Activity and Stability. Hutchings CH, Wu JC, Bundy BC. Smith MT (Smith MT advised by Bundy BC). Cell-free Technologies: Protein Expression, Synthetic Biology, and Nanotechnology. Roche Diagnostics, Protein Engineering Division, Penzberg, Germany. Feb 2014. A Golden Age for Cell-free Synthetic Biology. Freeze-dried Escherichia coli-based Cell-free Systems – Just Add Water. Expanding the Language of Biology with Cell-free Synthetic Biology. DARPA Living Foundries Meeting. La Jolla, CA. Jan 2014. Building the Community Through Service Learning: Assessing the Effect of Service-Learning Group Projects On Intrinsic Motivation, Depth of Understanding, and Leadership Development During a Junior-Level Core Chemical Engineering Class. American Institute of Chemical Engineers Annual Meeting. San Francisco, CA. Nov 2013. Engineering Virus-Based Nanoparticles As Adjustable Platforms for High-Density Site-Directed Decoration. Wu JC, Smith MT, Werner C, Bundy BC. Evaluating the Effect of Attachment Orientation On the Activity and Stability of Immobilized Enzymes. Smith MT, Hawes AK, Rainsdon JM, Shrestha P, Bundy BC. High-Yielding Escherichia Coli-Based Cell-Free Protein Synthesis of Commercially Relevant Proteins. United States Air Force Academy. Colorado Springs, CO. Oct 2013. Developing Virus-based Nanoparticles as Potent Diagnostic Tools. 19th Annual Utah Space Grant Consortium Fellowship Symposium. Salt Lake City, UT. May 2013. Rainsdon JM, Smith MT, Hawes AK, Shrestha P, Bundy BC. A Cell-free Engineered Approach to Economical Synthetic Biology. Pacific Northwest AIChE Regional Conference. Montana State University, MT. Apr 2013. Bundy BC, Wu JC, Smith MT, Varner CT. Enzyme Biocatalysis Orientation Control During Immobilization by Unnatural Amino Acid Incorporation. American Institute of Chemical Engineers Annual Meeting. Pittsburgh, PA. Oct 2012. Smith MT, Varner CT, Burnham MA, Rainsdon JM, Bundy BC. Developing Novel Virus-Like Particles As Tunable, Targetable Reporter Platforms. Shrestha P, Holland T, Bundy BC. Economical Cell Lysis Technique Optimized for Cell-free Protein Synthesis. Emerging Ideas in Biomedical Research. Provo, UT. Oct 2012. Wu JC, Smith MT, Werner CJ, Fredline G, Mayberry T, Winegar J, Bundy BC. Optimized Biocatalysts through Enzyme Immobilization. Winegar J, Smith MT, Varner CT, Bundy BC. Developing Engineered Virus Nanoparticles for Tunable, Targetable Platforms. Widening Student Education Beyond the Text: Where did the equations come from and how will you find them if you sell back your book. American Society for Engineering Education 2012 Chemical Engineering Summer School. Orono, ME. Jul 2012. Economical Cell Lysis Techniques Optimized for Cell-free Protein Synthesis. National Conference of Undergraduate Research. Ogden, UT. Mar 2012. Bush DB, Herdegen SS, Nickolaisen J, Varner CT, Werner CJ, Wu JC, Bundy BC. 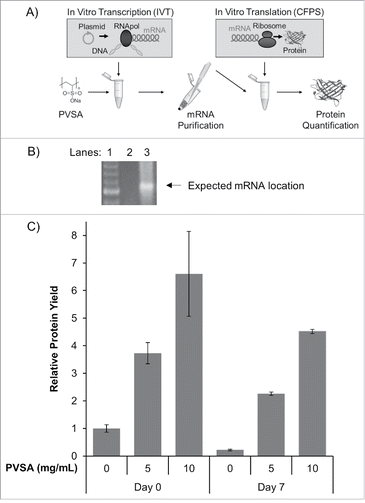 Enhancing in vitro Production of Proteins Utilizing Linear DNA Templates. Chidsey P, Smith MT, Wu JC, Bundy BC. Enzyme Immobilization for Enzyme Catalyzed Reaction Engineering. Bundy BC, Smith MT, Varner CT.
A Cell-Free Approach to Optimized Production and Self-Assembly of Novel Monodisperse Virus-Based Nanoparticles. American Institute of Chemical Engineers Annual Meeting. Minneapolis, MN. Oct 2011. Encouraging Students to Critically Think About the Origins and Assumptions Behind Heat and Mass Transfer Convection Coefficient Correlations Through a Simple Demonstration. Smith MT, Varner CT, Bundy BC. Cell-free Synthesis of a Novel Virus-like Particle for Future Bioimaging Applications. Annual Utah Biomedical Engineering Conference. Univ. of Utah, UT. Sept 2011. Reaction Condition Optimization of the “Click Reaction” in a Crude Cell Lysate. Cost Effective Incorporation of Unnatural Amino acid in a Cell-Free Protein Synthesis System. Varner CT, Smith MT, Bundy BC. Cell-free Protein Synthesis Based Production of the Qbeta Virus-like Particle Incorporating the A2 Protein. Hawes AK, Varner CT, Swenson JM, Bundy BC. Eukaryotic Post-translational Modification in Prokaryotic-based Cell-free Protein Synthesis. Utah Conference on Undergraduate Research. Weber State Univ., UT. Feb 2011. Varner CT, Bush DB, Smith MT, Bundy BC. Evaluation of Inserting a Single A2 protein into Virus-Like Particles of the Q-beta Bacteriophage. Bundy BC, and Swartz JR.
Production of Robust Virus-Like Particles via Disulfide-Bond Cross-Linking. American Institute of Chemical Engineers Annual Meeting. Salt Lake City, UT. Nov 2010. Stability and Functionality of Site-Specific Protein-Protein Conjugation Products formed with “Click” Chemistry. Bush DB, Varner CT, Barfuss DC, Swenson JM, Bundy BC. Advances Toward the Incorporation of a Single Unique Protein Into Virus-Like Particles. Katz A, Swenson JM, Bush DB, Bundy BC. Evaluation of Myristoylation for Post-Translational Modification in a Coupled Transcription/Translation Protein Synthesis Environment. Wu JC, Varner CT, Bundy BC. Optimization of the Fluorogenic Copper(I)-Catalyzed 1,3-Dipolar Cycloaddition (“Click”) Reaction in a Crude Cell Lysate. A Cell-Free Approach to Engineering the Site-Specific Incorporation of Unnatural Amino Acids for Direct Protein-Protein Conjugation. Cell-Free Protein Synthesis and Self-Assembly Of Complex Virus-Like Particles. American Institute of Chemical Engineers Annual Meeting. Salt Lake City, UT. Nov 2007. High Yielding Cell-free Synthesis of Virus-like Particles. Stanford Engineering Fair. Stanford, CA. Jan 2007. Bundy BC, Goerke AR, Swartz JR.
E. Coli-Based Cell-Free Protein Synthesis of Virus-like Particles. American Institute of Chemical Engineers Annual Meeting. San Francisco, CA. Nov 2006. Virus-like Particle Production Utilizing Prokaryotic Cell-free Protein Synthesis. American Chemical Society 232nd National Meeting. San Francisco, CA. Sep 2006. Canadian International Petroleum Conference. Calgary, Canada. June 2004. Rocky Mountain AIChE Regional Conference. Provo, UT. Mar 2004. Micron Technology Student Symposium. Boise, ID. June 2003. Copyright © 2019 BUNDY LAB. Powered by WordPress. Theme: Ample by ThemeGrill.